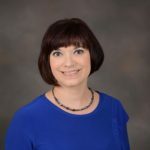 Dr. Amy Barton Pai, Pharm.D., MHI, FASN, FCCP, FNKF is Associate Professor of Clinical Pharmacy at the University of Michigan College of Pharmacy. She obtained her Bachelor of Science in Pharmacy from Albany College of Pharmacy and then completed a Pharmacy Practice Residency at St. Peter’s Hospital in Albany, New York. She received her Doctor of Pharmacy from Albany College of Pharmacy. She completed a Nephrology Research Fellowship at the University of Illinois at Chicago. Dr. Pai was on faculty at the University of New Mexico College of Pharmacy and School of Medicine from 2001 to 2008 and at Albany College of Pharmacy and Health Sciences from 2008 to 2016. She earned a Master’s degree in Healthcare Innovation in 2018. Dr. Pai’s research focuses on how to innovate provision of pharmacy services to patients with chronic kidney disease and to leverage the role of the pharmacist in prevention of CKD. Dr. Pai has served as the Chair of the Pharmacy Working Group for the NIH National Kidney Disease Education Program since 2012. Dr. Pai also served as the first pharmacist to be appointed to the American Society of Nephrology (ASN) Dialysis Advisory Group (2011-2014). She is currently on the steering committee representing the American College of Clinical Pharmacy for the Kidney Health Initiative (n collaborative effort between the Food and Drug Administration and ASN). She has also served on a Technical Expert Panel reporting to the Centers for Medicare and Medicaid Services focused on developing a new medication reconciliation measure for dialysis facilities.